Yesterday (Monday), I picked up my new hearing aids at Costco. The technician programmed my new hearing aids with my hearing profile. Here’s a picture of the new aids. I put a ruler in the picture to get an idea of the size. Next was the programming of the “Phone Clip”. This is the device that has the Bluetooth interface. Phone clip paired with the hearing aids and then to my iPhone. So far, so good. Then he had me install the free iPhone app to control the hearing aids. Here’s a picture of the phone clip. Phone clip has buttons for volume, program, and phone answer. It has a microphone to be used when making phone calls. 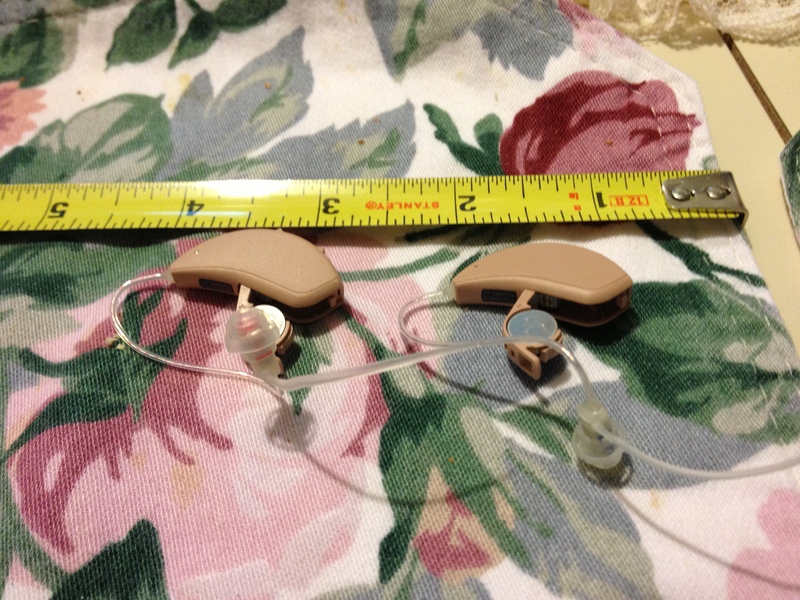 The hearing aid was loaded with three “programs”. First is normal, second “noise” and third is “telecoil”. Telecoil is a hearing aid system sometimes installed in theaters and public address systems whereby the sound is sent directly to the hearing aid. 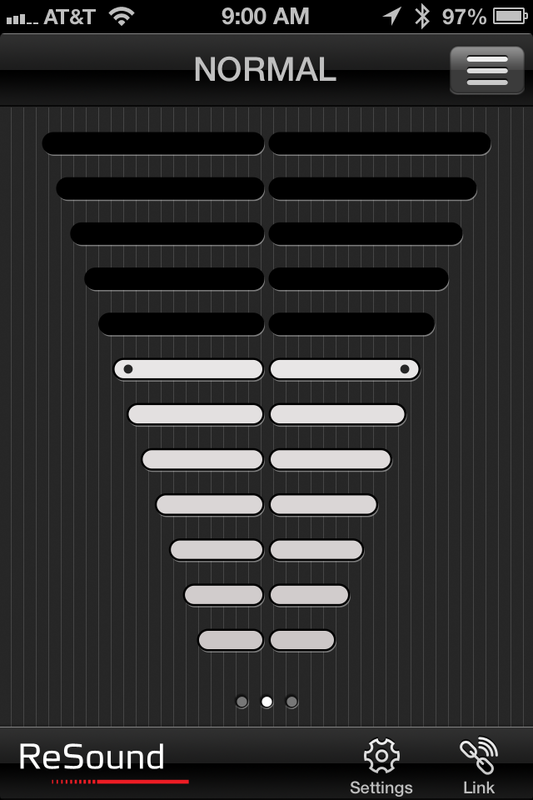 Here are a couple of screen shots from the iPhone app. So with a swipe of a finger you can change either volume settings or program. Cool. Yesterday, we went for my appointment with the Costco Hearing Aid dept. We met with Vallonna who is the Hearing Aid Center manager. After filling out some forms and giving her my copy of my hearing test from Kaiser we got down to business. 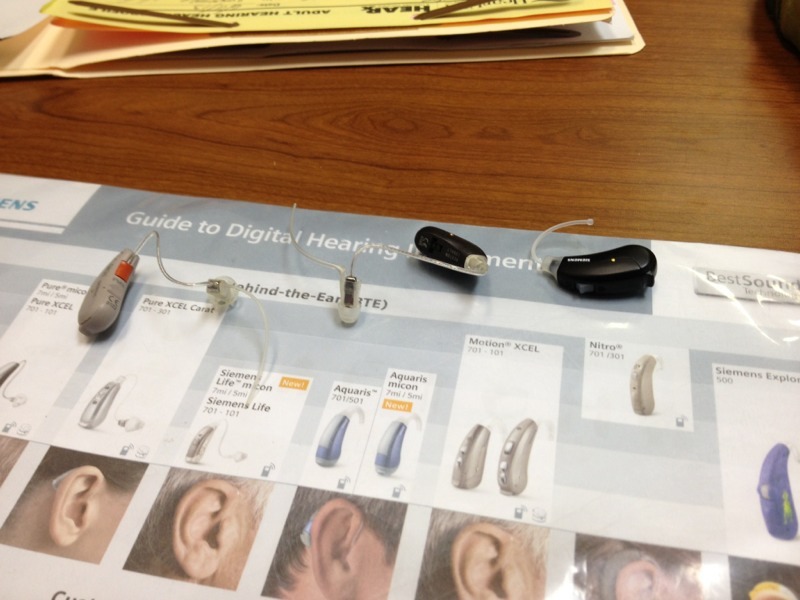 We started with some more hearing tests. As usual, I sat in a sound proof room and listened to the head phones. Push the button when you hear the tone. In addition to what they did at Kaiser, she also did a loudness test. ie. How loud can we go before you feel pain? Push the button when it gets too loud. She recommended a pair of Resound Forza 8 behind the ear BTE hearing aids. Base price of about $1350 each. Expensive but a lot less than the price at Hearx. She then programmed a pair of hearing aids for me to try. 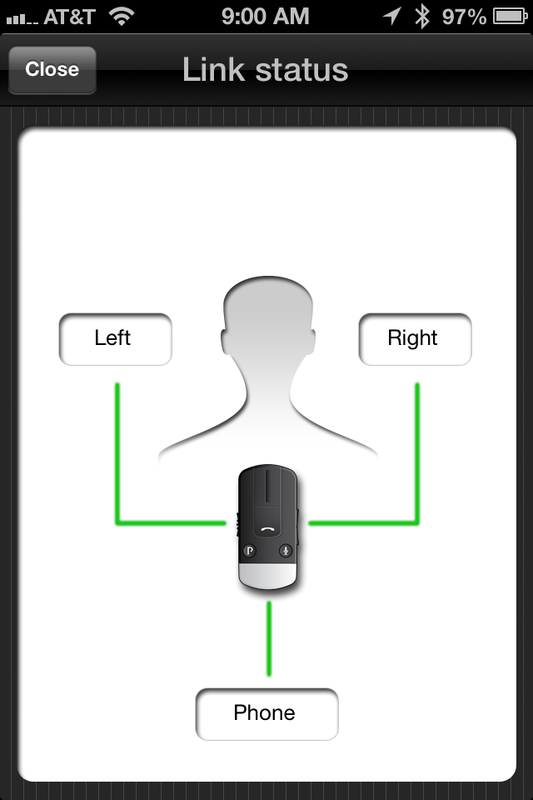 The hearing aids come with a handy remote control that can control both volume and program. She showed me how to use. Set it up with two programs, one for noisy and one for normal. Then she sent us off to wander around the store for 30 minutes. This was something that the folks at Hearx never offered. Try before you buy, what a concept. The Costco warehouse was certainly a hearing challenging area. It took a little getting used to, but I liked them. So we ordered the hearing aid pair. Paid with the Costco Amex card which gives 2% rebate at the end of the year. We also ordered the phone clip that provides the Blue Tooth capability. Pick up next Monday where Vallona will program. Then we have followup appointment the following Monday to see how things are going. I am looking forward to getting them. We got right down to business. She looked at my hearing test results and recommended a couple of behind the ear (BTE) models of hearing aids made by Siemens. The hearing aids are very small. Certainly smaller than I had envisioned. So I got to try one on. Hardly knew it was there. In fact, I would be afraid that it might fall off and get lost. That thought scares the hell out of me. ie. losing a device worth a couple of thousand dollars. Unfortunately, the demo units were just that demo units and didn’t actually work. So here is a picture I took with my iPhone. It is really hard to get a feel from the picture how really small they are. The audiologist was very pleasant. No hard sell. Just told me the prices. Both were in the range of $3600-$4600 for the pair. The price included the 20% discount for being a Kaiser member. Price included three year warranty and free batteries for three years. We were told that batteries last about a week with average usage. Package of 60 batteries runs about $25 on Amazon.com. I figure that package would last 6 months. So free battery offer is worth $300 over the three years. They also offer 12 month/0% financing. I suppose that eases the pain of forking over $5000 in one swipe of my Visa card. The price didn’t include optional gadgets. Siemens sells a device that they call a “MiniTEK”. This is the device used to do Bluetooth and other various magic. Add $550, if you want Bluetooth. 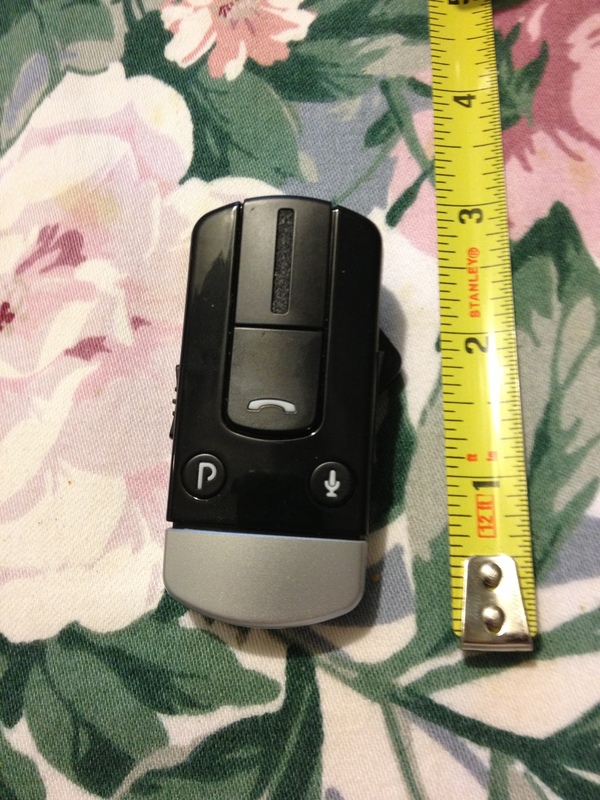 MiniTEK is device about the size of a garage door opener. So here’s where we stand. Appointment with Costco next Tuesday. Then we get to decide. Told the woman at we’d get back to her once we decide. She didn’t try to persuade us to decide before we left. If it weren’t for the price, I would probably go with HEARx. One more link. Here is the Facebook link.